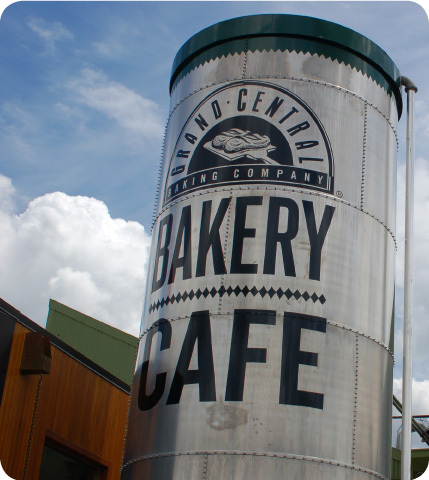 One of many Grand Central Bakery locations in Portland, OR and Seattle, WA. Grand Central has provided paid sick days for workers for over 20 years! …paid sick leave amounts to a relatively small thing for an employer translating to a relatively huge thing for a sick employee. For more than 20 years, we have provided paid sick days to our employees (along with health and dental insurance and vacation time). From that vantage point, we can say the benefits are many – high morale, healthier employees and customers, low employee turnover. Most significantly it creates a culture of trust. Today would be a great day to stop by your local Grand Central Bakery – there are several locations in Seattle and Portland. Grab a loaf of fresh bread (or a sandwich, pastry, salad…you get the idea) and let the manager kn0w how much you appreciate Grand Central’s great business model. This entry was posted in Paid sick days and tagged Grand Central Bakery, portland, seattle. Bookmark the permalink.